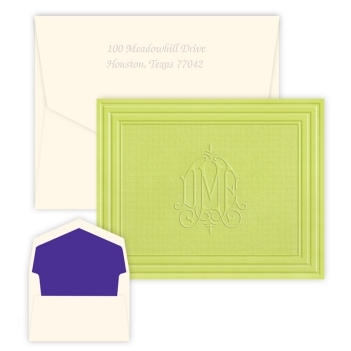 Colorful, thick papers with a perfectly embossed framed border make the California Framed Monogram Note - Embossed grab immediate attention. 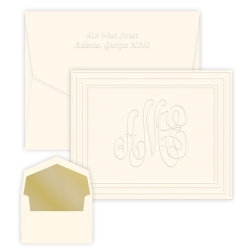 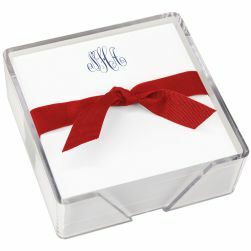 Choose from 5 monograms and 5 paper colors to design your next set of personalized folded notes. 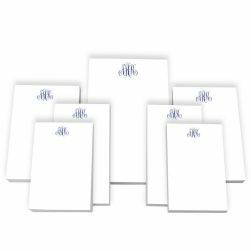 California Framed Collection monogram choices include: Classic, Circle, Whitlock, Sydney, or Diamond monograms.